Intercool impressed its visitors during Drinktec 2013 in Munich with its eco-friendly booth and the new range of SANDEN INTERCOOL products. 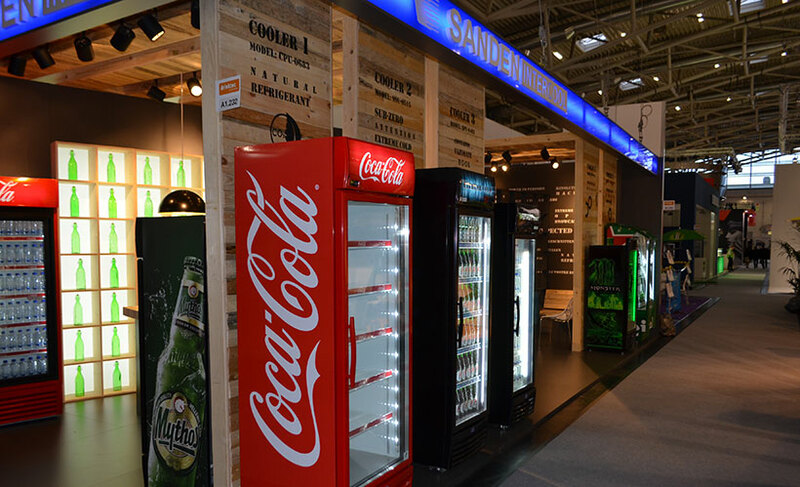 During the exhibition, visitors had the opportunity to view the new CO2 SANDEN INTERCOOL coolers and the subzero range available for Beer bottlers. Both ranges consume the lowest energy and guarantee the maximum performance and lowest maintenance cost. INTERCOOL also presented also the new sliding door cooler based on the new SPU range of SANDEN INTERCOOL. This merchandiser combines all the benefits of a double door fridge, ensuring maximum loading capacity, best serviceability and small footprint. Mini Disco, an elegant counter top impulse merchandiser, was for the first time unveiled during the fair. Customers had the chance to view three different versions of LED colour lighting. Intercool has renewed its appointment for the coming Drinktec 2016.